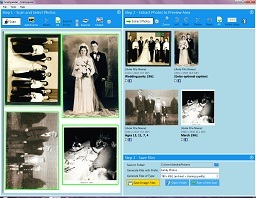 Photo Scanning Software to Scan Multiple Photos at once. 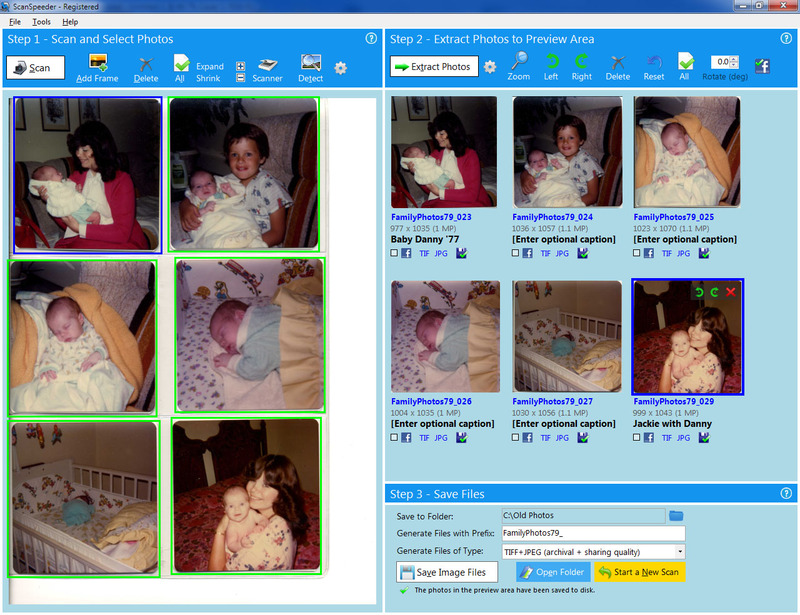 Scan Photos Faster and Easier. 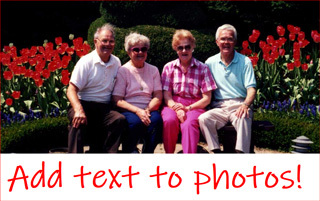 We have a big family project and your software ROCKS!!!!! ScanSpeeder has been a brilliant time saver and well worth the money. 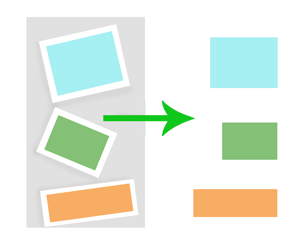 Works with album pages and scrapbooks too. 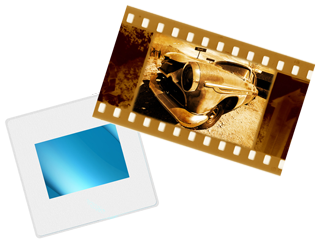 Restore Faded Photos with One Click. Great for editing and display on next generation monitors and TVs. 1 Requires a TWAIN compatible flatbed scanner with transparency unit and film holders. 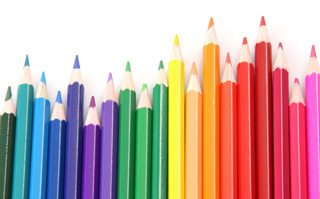 Example scanners are the Canon CanoScan 9000F Mk II, Epson V600, Epson V550, Epson V370, plus others. 2 Requires a TWAIN compatible flatbed scanner that supports 48-bit output. 3 Requires a TWAIN compatible flatbed scanner that supports 16-bit output. Scan directly from photo album. Scan and separate multiple photos. Windows 10, 7, 8.1, 8, Vista. Trusted and downloaded by more than a quarter million people. 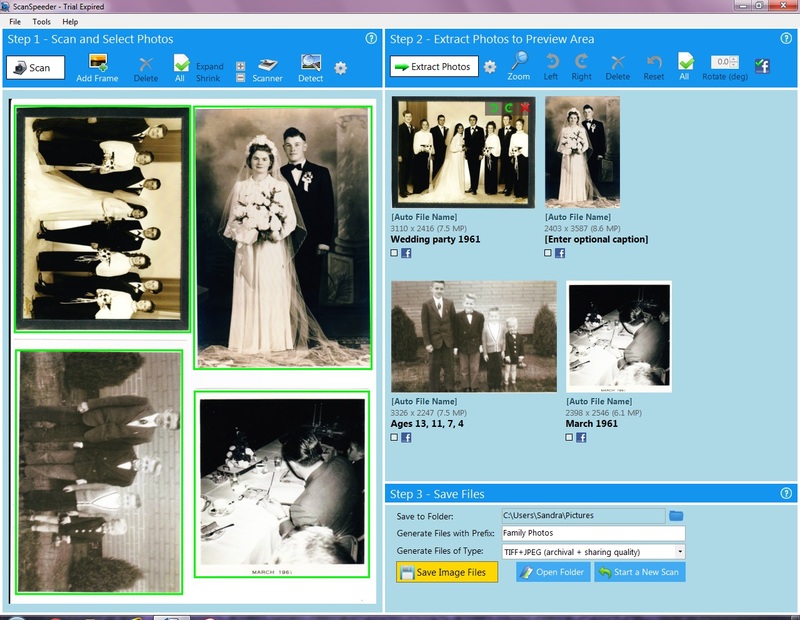 Do you need to scan lots of photos? 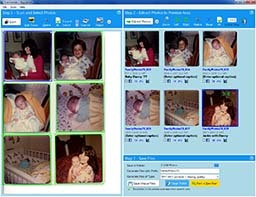 If so, ScanSpeeder will be ideal software as it enables users to scan multiple photographs at once much more quickly. ScanSpeeder is great! I was looking for software to break up scans...ScanSpeeder improved my efficiency by at least 5 times...The customer service I received was above and beyond anything I could have expected...I'm so glad I found this program. Thanks! 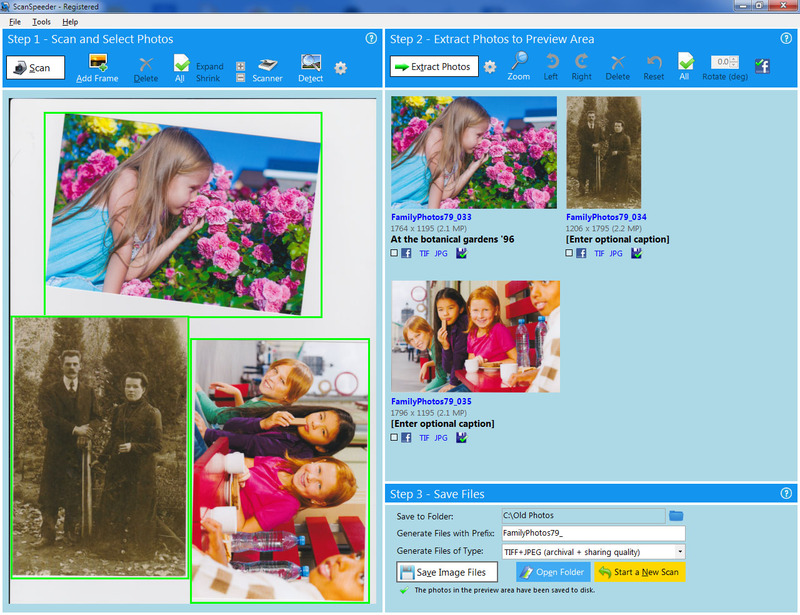 ...ScanSpeeder has been a brilliant time saver and well worth the money. YOUR SOFTWARE IS UTTER AWESOMENESS IN ITS LIQUID FORM. Thanks for your brilliant product!